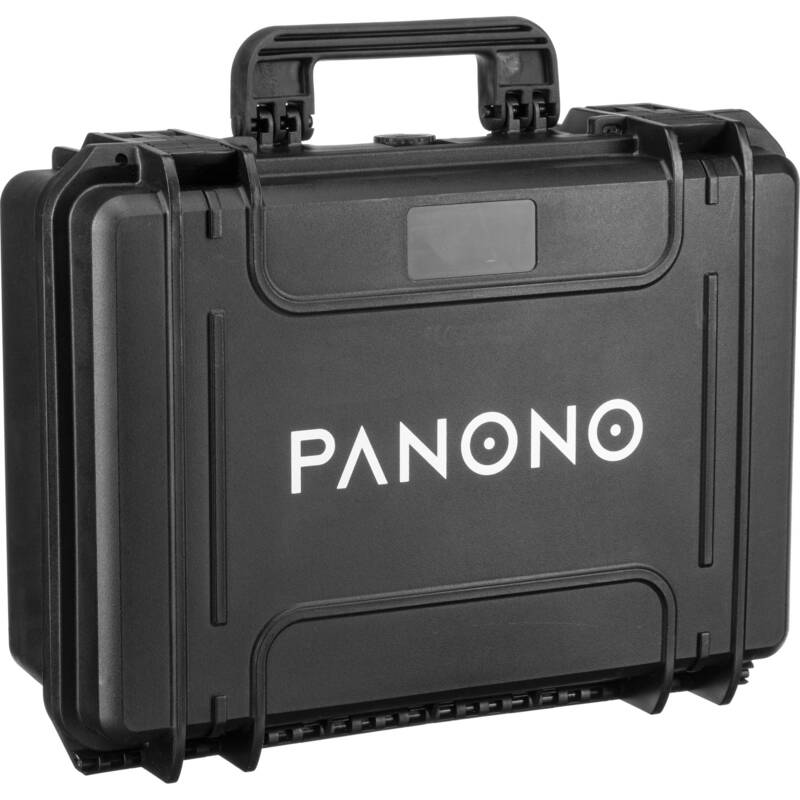 The polypropylene, black Transport Box from Panono has a foam interior that accommodates a Premium Set that consists of a tripod, stick, tripod adapter, and two 360 16k cameras. The case is carried via its top handle, and the two latch closures seal the case to make it water resistant and dustproof. Box Dimensions (LxWxH) 19.7 x 19.3 x 13.6"